Whenever someone comes up with a 3d printed food cutter or kitchen utensil someone has to ask if it's food safe. So I decided to contact the Food and Drug Administration and ask them. The answer surprised me. I thought the little little crack in 3D prints would cause a problem because of bacteria growth, but what I was told was that, no, they don’t care what the shape of the thing is. However the use of the thing is important. For instance a cookie cutter or knife that is going to have limited contact with the food are less regulated than, say, a container for storing food for extended periods of time. Identity, intended use, and conditions of use are the things the FDA take into consideration. It’s a question of how likely the material is to migrate to the food. It’s your responsibility as a 3D printer owner to insure anything you make that will contact food complies to the specifications if you want to make the claim that they are food safe. EDIT: So apparently I didn't express that this is just concerning FDA regulation and the use of the term "food safe". "Food safe" is a bit like "organic" except with slightly more regulation, but it doesn't mean that there won't still be concerns. There are, however, things that aren't concerns. For instance, brass nozzles. Brass contains lead, and lead contains brain damage or death, depending on how much you get in you how quickly. But hold on a second before you start up the panic wagon. Brass is less than 2% lead. 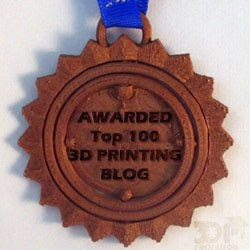 If we consider a very generous 1% transfer rate getting into your print (which would wear down your nozzle to nothing in 100 prints), and assume 1% transfer rate from the 3D printed fork to your body (again, wearing the fork to nothing in 100 uses) you're still only getting 0.000002% of the weight of the nozzle of lead into your body. You'd have to eat a whole nozzle every day to be at even chronic toxicity levels for a child. Brass nozzles, not a problem. What is a problem is bacteria growth. Reddit user Festernd tested glass vs plastic vs 3D printed glasses for bacteria growth and discovered the 3D printed cup "had as [much bactera as] an unswept floor --much more than I expected." I plan to reproduce this experiment and add a smoothed print to the equation, but clearly bacteria growing in the layer lines is still a problem. But that's not a problem for the FDA. Maybe just because they can't regulate it. They're a small department with limited resources. But what ever the reason don't automatically trust that "food safe" means it's time to replace your glassware with 3D printed plastic just yet. Because I've got my eye on you. I wish. The closest thing I've found is XTC-3D, and it's so not a dip in solution at all. Paint on. Lots and lots of painting. And it's not food safe. In fact by definition I don't think epoxies resins can be food safe. If you are looking for a food safe coating for your prints, Alumilite Crystal Clear Casting Resin is a great food safe epoxy resin. It's is very thin compared to XTC3D, and has a MUCH longer working time, and a significantly longer set-up (curing) time.